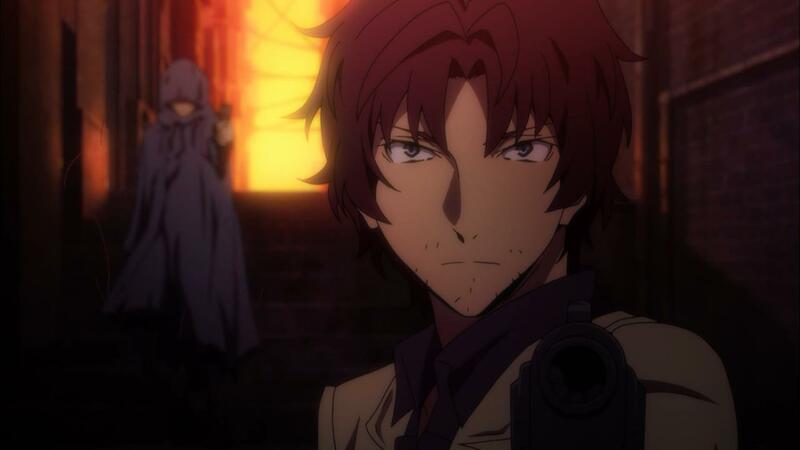 I’ve always been a huge fan of Dazai Osamu (Miyano Mamoru) and I’m excited to see that the premiere for the second part of Bungou Stray Dogs focuses on his background. 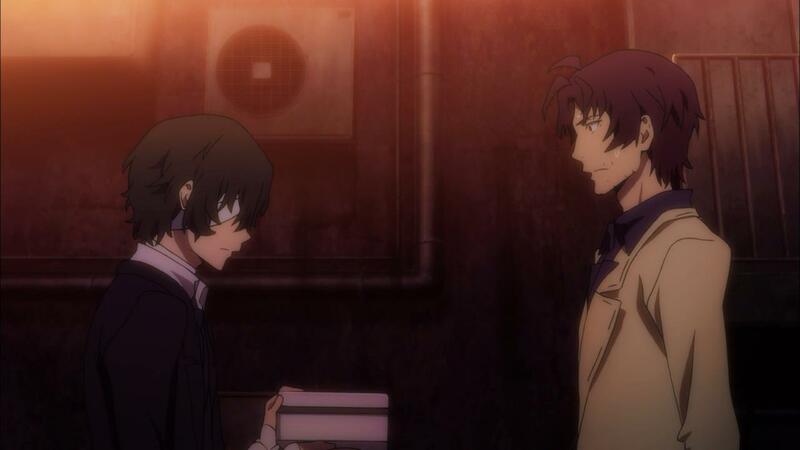 It’s no secret (since episode 3 of the first cour) that Dazai used to be a part of the Port Mafia and this episodes shows glimpses of his life 4 years earlier. He has 2 other comrades that enjoy going to the same bar as him and even though they don’t openly work together on all their “assignments”, they do appreciate each others’ companionship. 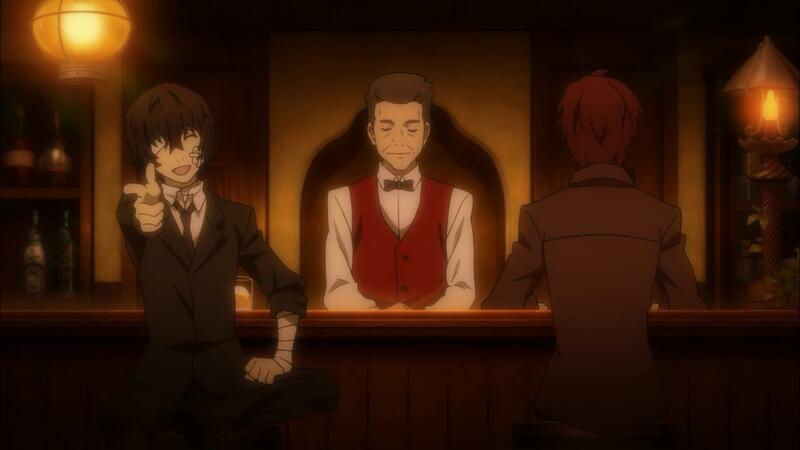 Funnily enough, the story isn’t told from Dazai’s POV either, but instead from his friend’s – a new character named, Oda Sakunosuke (Suwabe Junichi). 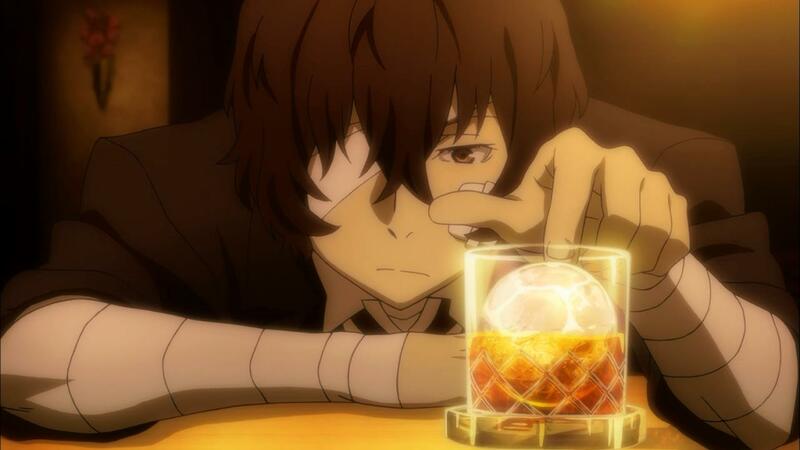 Oda is also a part of the Port Mafia and his ability is to see a few seconds into the future, but he’s also at the bottom of the food chain when it comes to any type of authority in the Port Mafia. 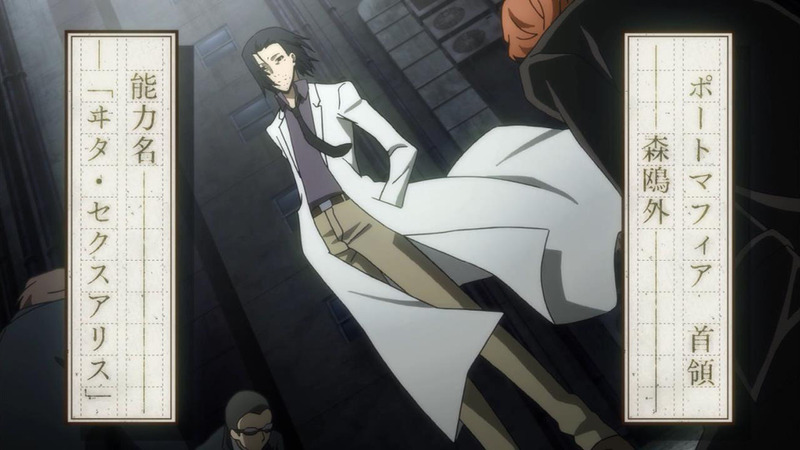 The last character in their trio is Sakaguchi Ango (Fukuyama Jun). 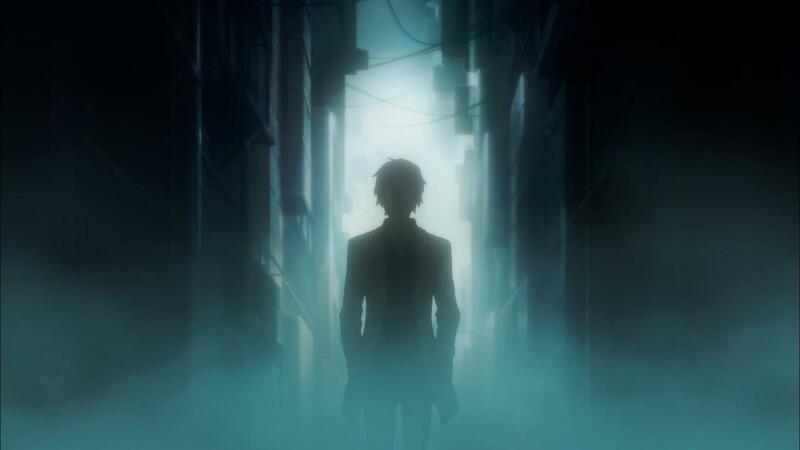 Sakaguchi disappears after his initial introduction, but he’s an informant within the Port Mafia and basically holds a lot of their secrets (and some of his own). 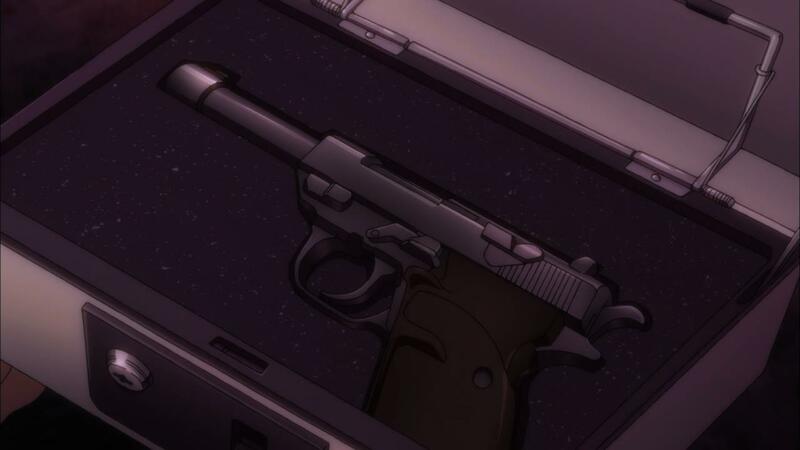 Oda is sent on an assignment to look for Sakaguchi afterwards and asks for Dazai’s help when snipers try and take him out. Unfortunately we don’t know if he’s found by the end of the episode, but it does open up a whole new gang which – up until now – we haven’t heard about before. 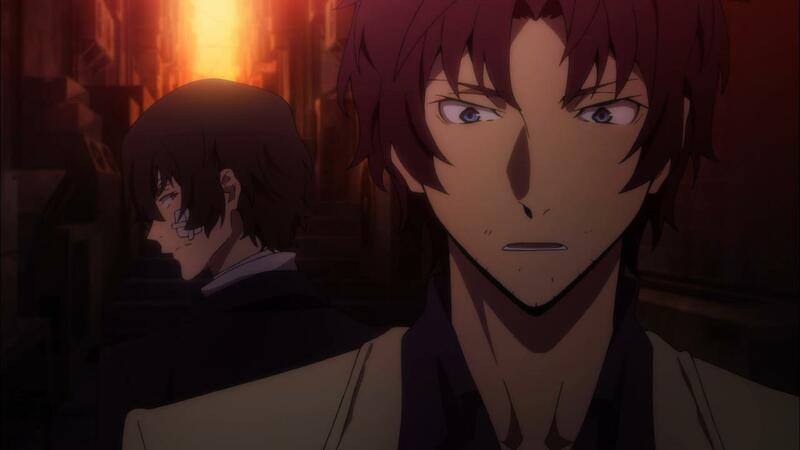 Given the way that the prior season ended, I thought we’d jump back right into the midst of what’s going on at the Agency with Atsushi, Doppo and crew. 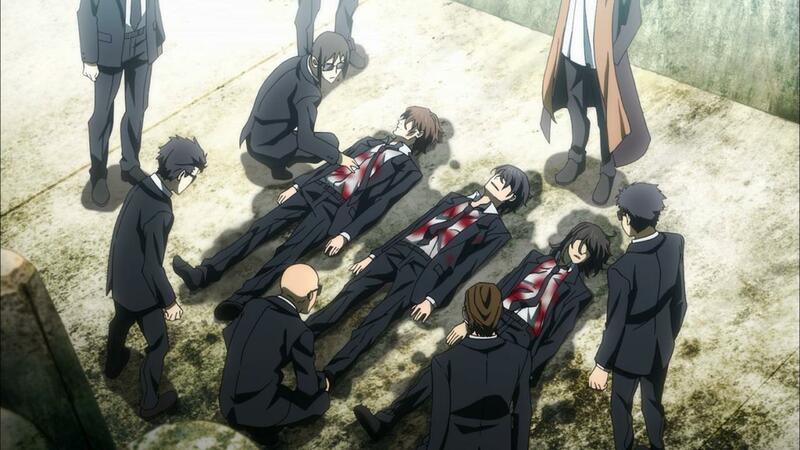 Interestingly enough, we start off with (almost) a completely new cast and a 180 degree flip to the Port Mafia. 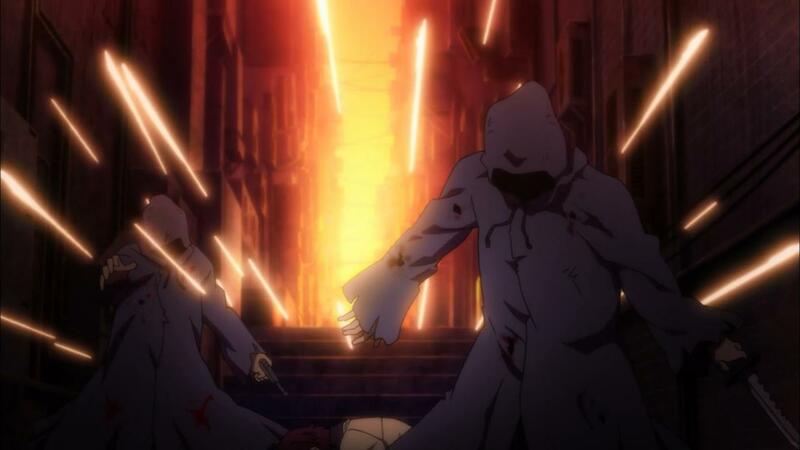 Thus far, we’ve always seen the Port Mafia as the antagonist group that use their powers for control and gangs within the city. 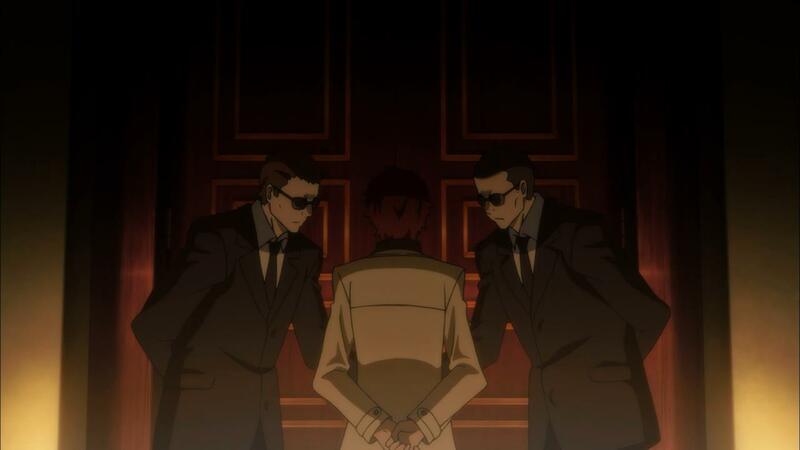 Now we actually see them with a bit more humanity and it’s somewhat gratifying to learn that there’s some order to the madness and evil deeds (with a chain of command and some unspoken “rules”). 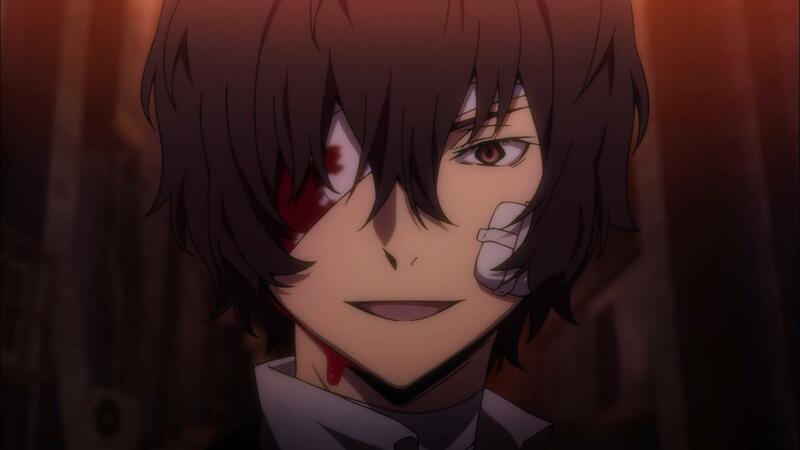 Most importantly, we see Dazai in a new light. He has a lot of the same characteristics that we love about him (e.g. suicidal jokes and power of observations and deduction) but we also see him a lot more serious. 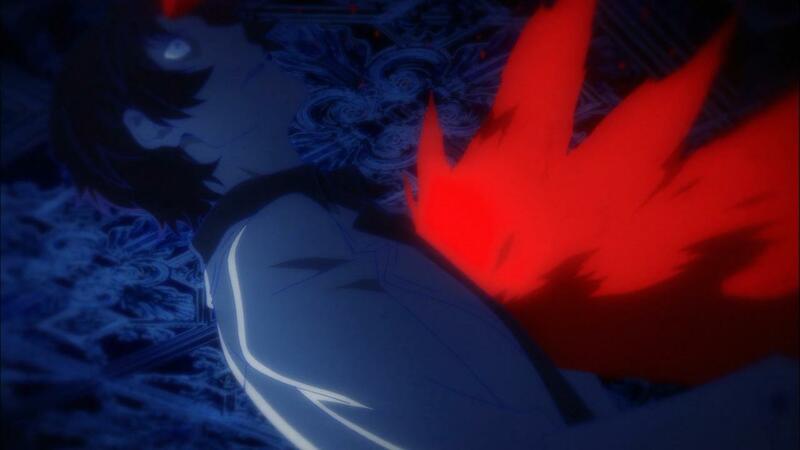 At this point, the anime has to explain what drives him to leave the Port Mafia and what he thinks about the Agency in comparison. Otherwise, I don’t see how this flashback is going to tie to the overall point. 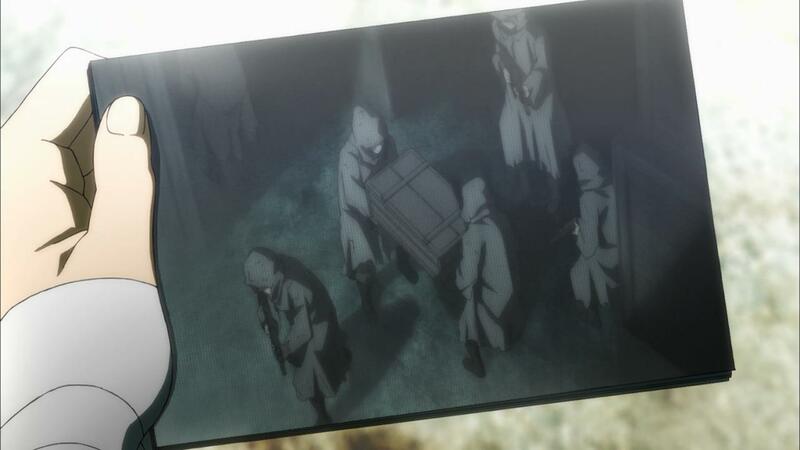 Perhaps it has something to do with the missing Sakaguchi and the new “Fellowship of the Guild” group led by Fitzgerald (from the previous season). 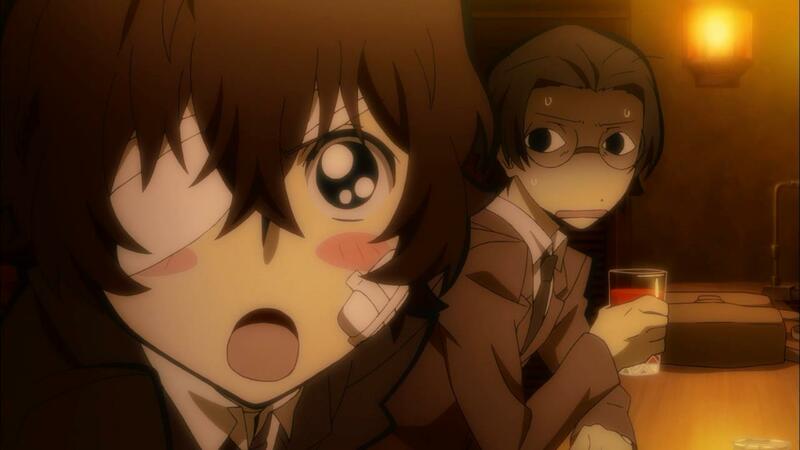 When I first remembered that Bungou Stray Dogs was coming back for a second cour, I won’t lie – I wasn’t jumping for joy nor was I terribly excited. Now that I’ve seen the first episode though, there’s a rejuvenated interest in this series. 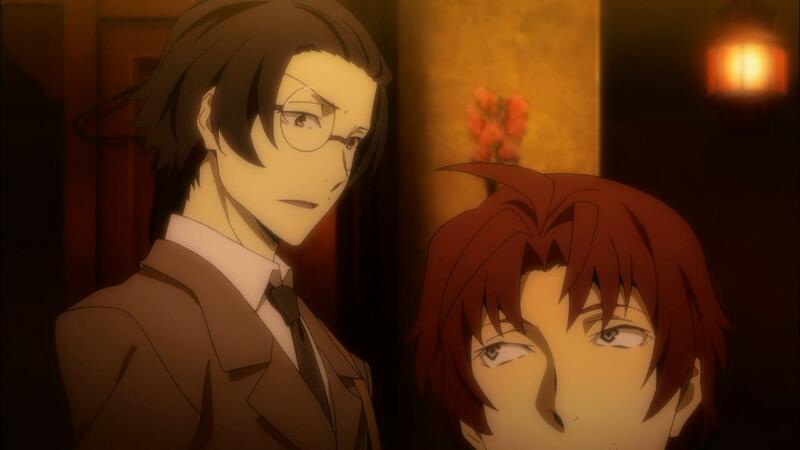 Not that I don’t like the first cour, but it really felt more like an introduction – with its focus a bit on Doppo, a bit on Atsushi and the rest of the Agency members. 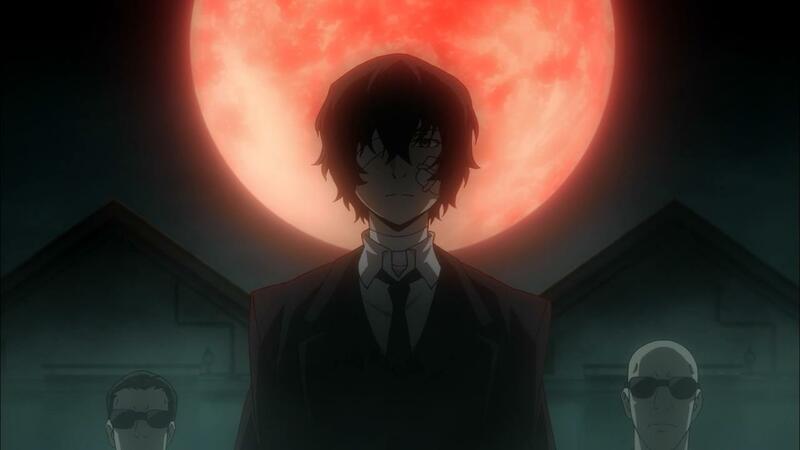 There was a bit about Dazai and the Port Mafia, but just enough to give you a flavor for what’s to come. I think this cour is really going to dive deeper into what the characters are about. What motivates them and what are they after. 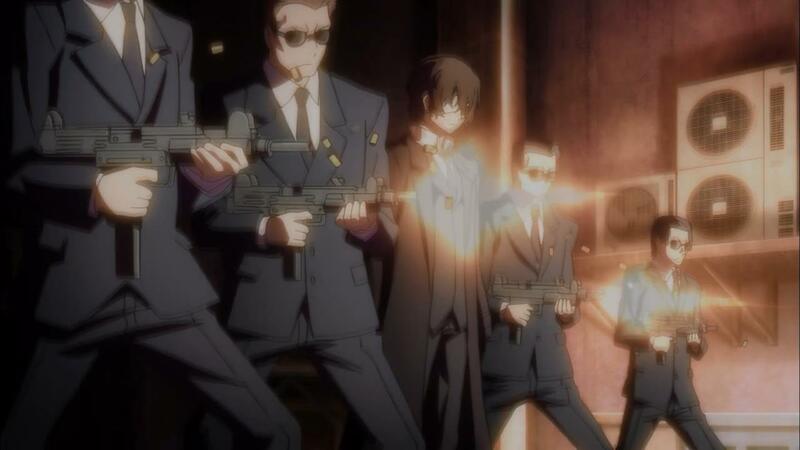 Plus, we never even saw Mori Ougai (Miyamoto Mitsuru) – the leader of the Port Mafia – do anything yet! If he’s such a fearless leader, what makes him so fearless? What are his powers? Perhaps we’ll see more of that in the flashbacks than the present setting. 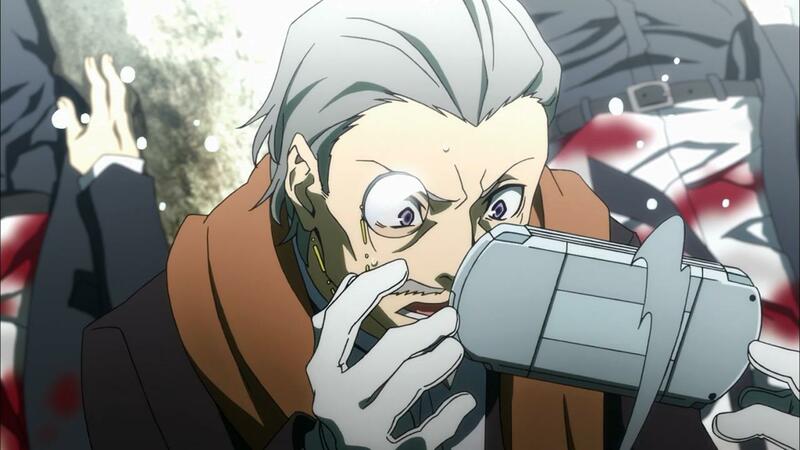 So with all that said, I’m actually thrilled to see what Bungou Stray Dogs has to offer in its second cour! 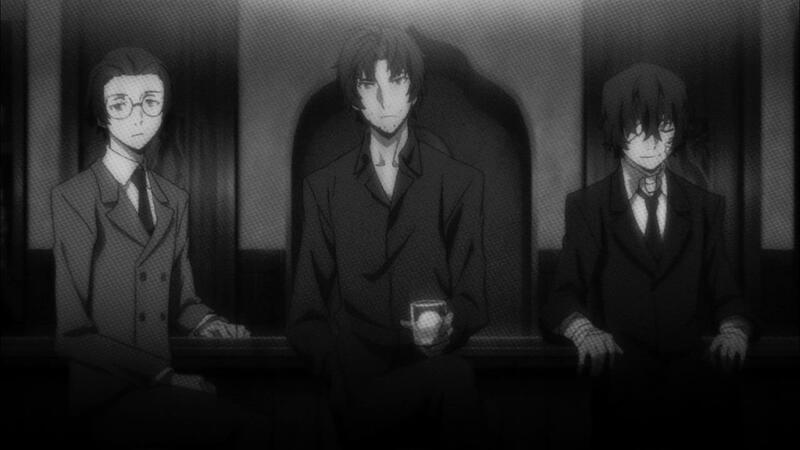 This premiere is darker and deeper than the former season and its aimed at showing the history of the Port Mafia and Dazai. 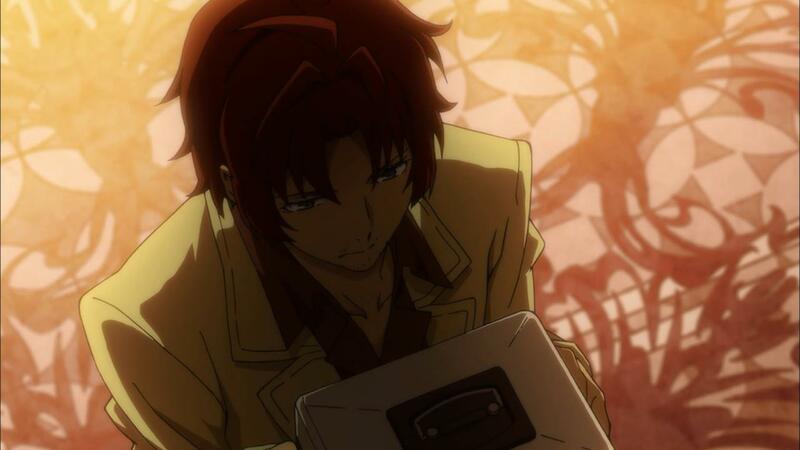 Whether or not that’s going to be the theme of this cour is unknown but I hope that there’s more time spent building Dazai’s history up rather than leaving it at that. While last season gave us a good foundation for the setting of this story, this season is really going to take it and run with it. 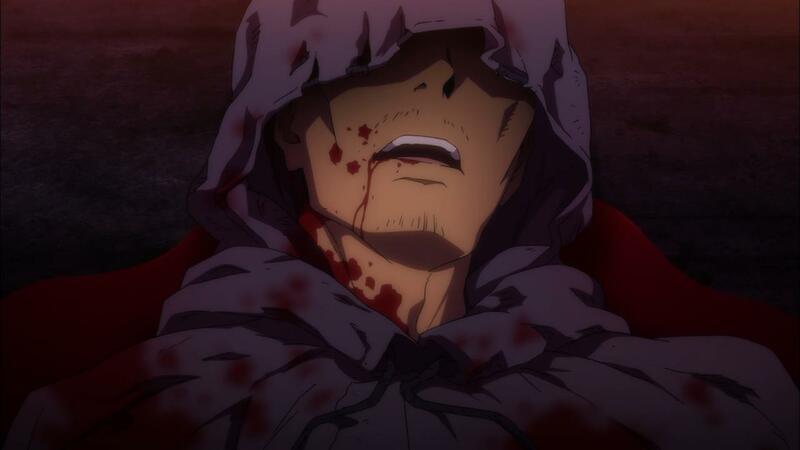 I pray that it’ll end up being like Noragami ARAGOTO, which totally nailed its second season. 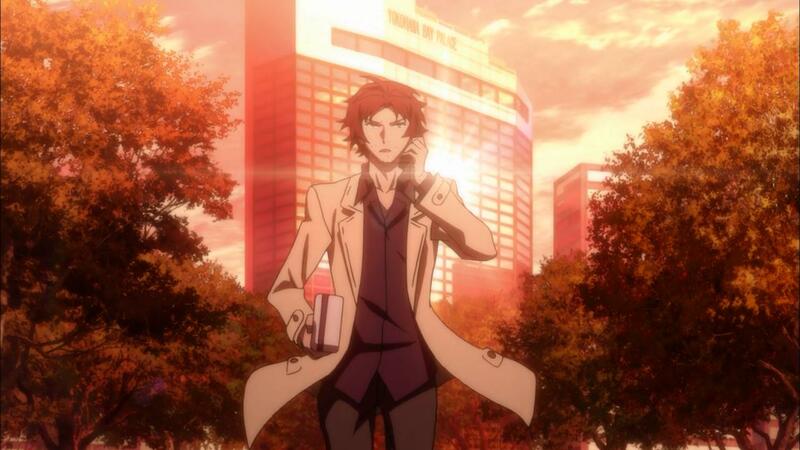 Bottom Line – @RCCherrie: To start off with a flashback of Dazai’s past is unusual but who cares! I’m loving it! #BungoSD Dazai’s always been my fav on #BungoSD and I was dying to see more of his backstory last season. So glad Bones finally gave us a piece of it. I got a kick out of how snarky they are to one another. Boss of the entire organization? Nope, still going get a joke out of it. Almost makes them seem likable. 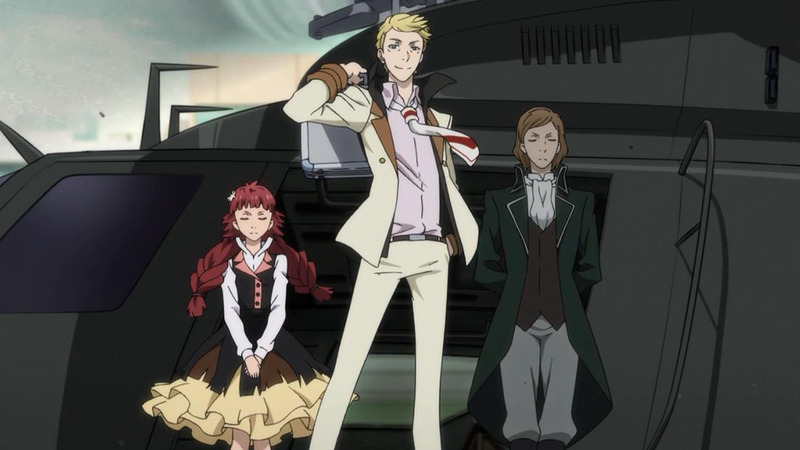 I wasn’t really a fan of Bungou Stray Dogs and didn’t really intend to watch the sequel in the first place, but I’ve decided to do so because of two main factors – first one being stunning animation from Bones (my beloved creators of Darker than Black, Space Dandy, Noragami, etc. 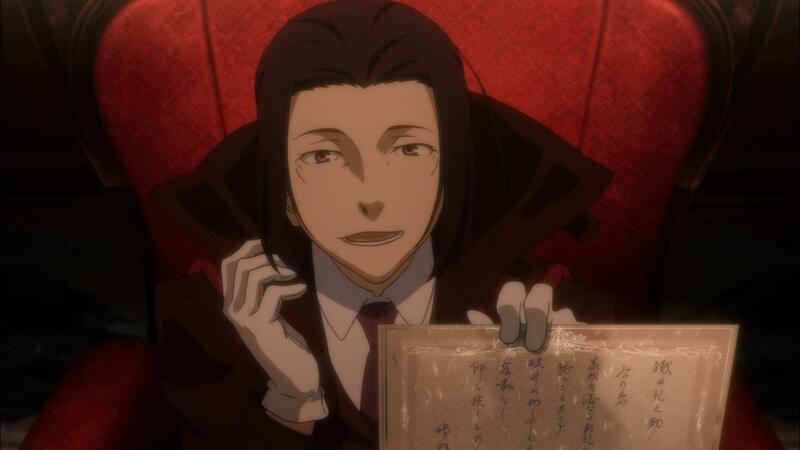 ), second one the Dazai Osamu with his suicidal jokes and intriguing past. 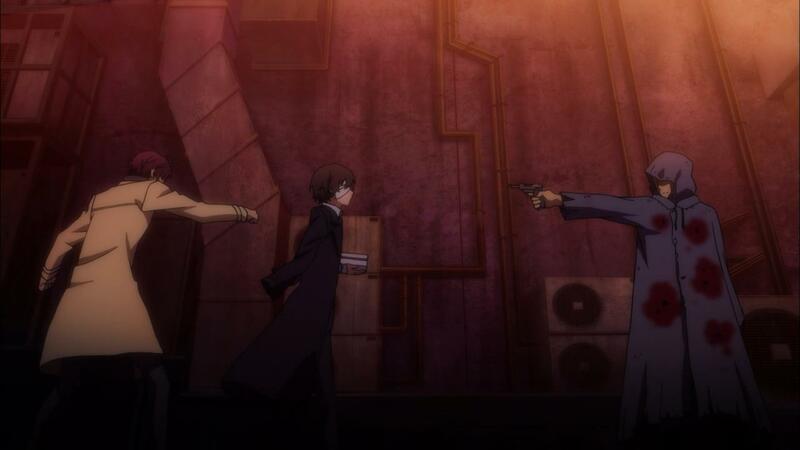 So starting second cour with flashbacks from Dazai’s career as Port Mafia Executive really got me, it was definitely more interesting than anything that happened in first cour. We got really interesting characters (Oda with his unique ability and not killing people), intriguing plot and as always from Bones, high quality animation. Oh, and that music at the beginning of episode made the whole scene just brilliant. 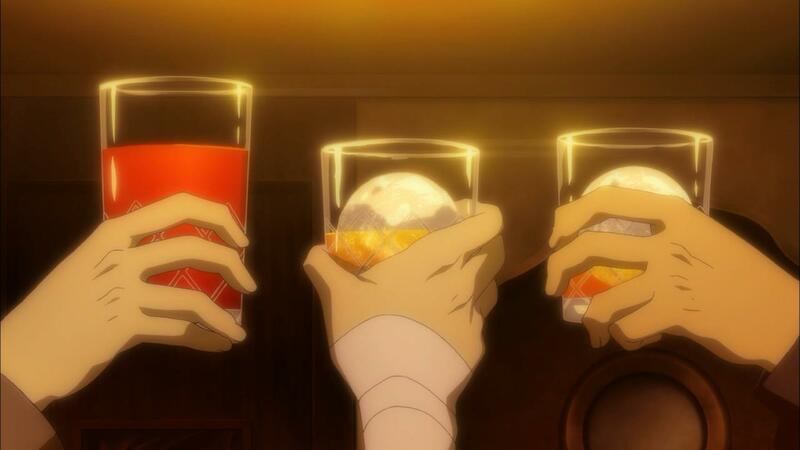 The only hope I have is that we will stay in Dazai’s past as long as possible, since it seems to be more entertaining (at least for me) than what is happening in present. And same as Cherrie, I am looking forward to see another case of Noragami ARAGOTO, since BSD definitely has potential. 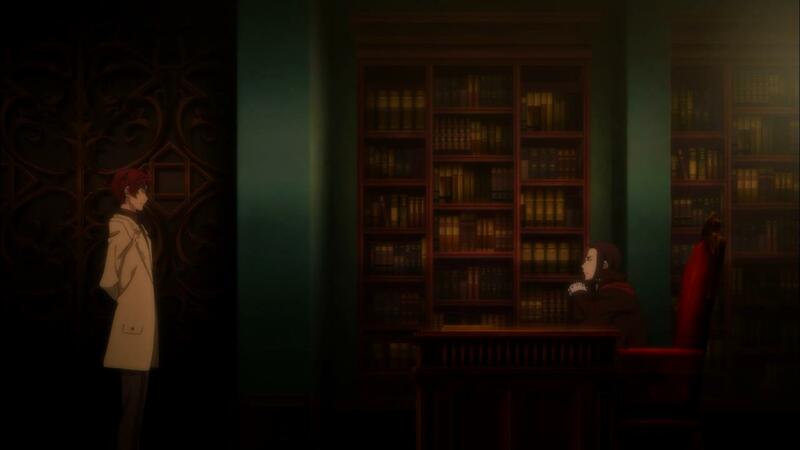 This episode adapts the 2nd LN spinoff of Bungou, also written by the source manga author. The real Dazai, Oda and Sakaguchi were lumped together as buraiha – the Decadence School – by conservative literary critics in light of their post WW2 writings that questioned the aimlessness and identity crisis of post WW2 Japanese and the seeping influence of American culture brought in by the US provisonal government running Japan. 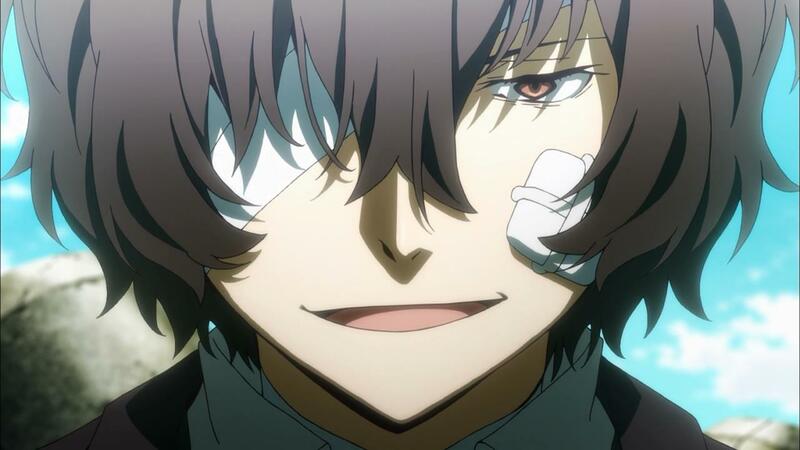 I didn’t know what to expect from the first episode either, tbh I pictured it starting with Atsushi, but only because I know animes don’t give me what I want sometimes that I go with the flow of whats predictable, but I never expect to get what I want – a bit of a background on Dazai! 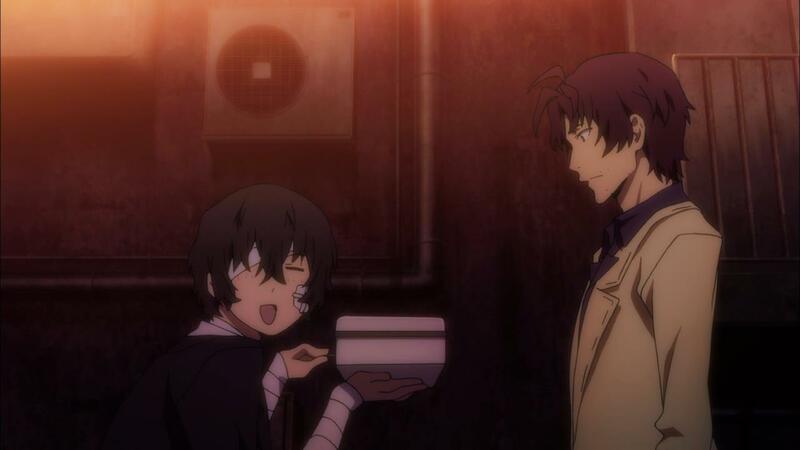 I think I often post about how Dazai is one of my fave aniemm charecters in general, so I was really thrilled. I am so excited! 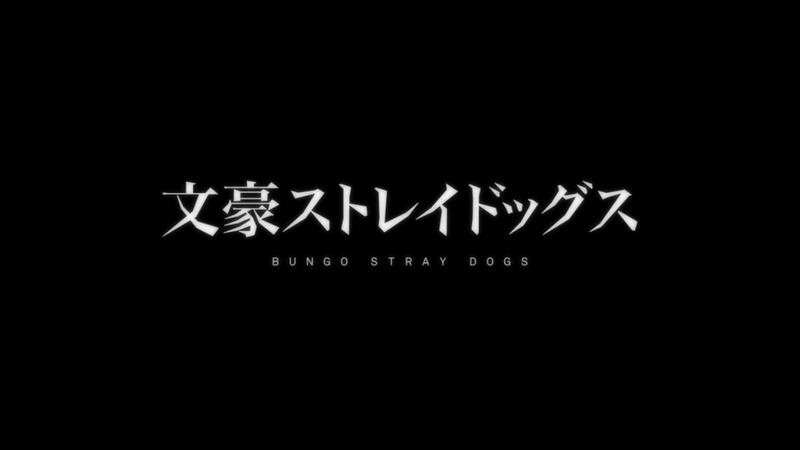 Mayne we will ge to know what the ‘Bungou Stray Dogs’ are now, since they called themselves ‘stray dogs’. PS. 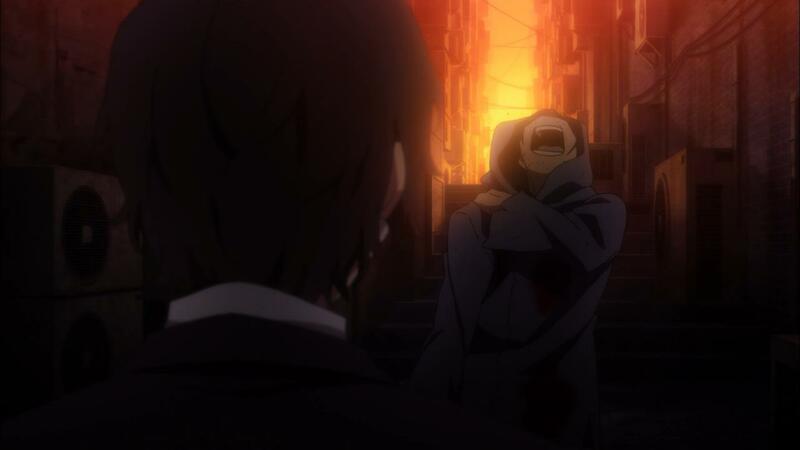 I can’t belive you actually brought up Noragami Aragoto, in a sense that made me smile, typically because of 2nd seasons that shadow over the first so well¬_¬’..
Mm maybe because I just watched 91 days, but my definition of Mafia just changed, and I view the Mafia differently in Bungou Stray Dogs.. :/..
thank the heavens Bungou Stray Dogs is back.. because I’m otherwise pretty unenthused by the anime series offering this season. 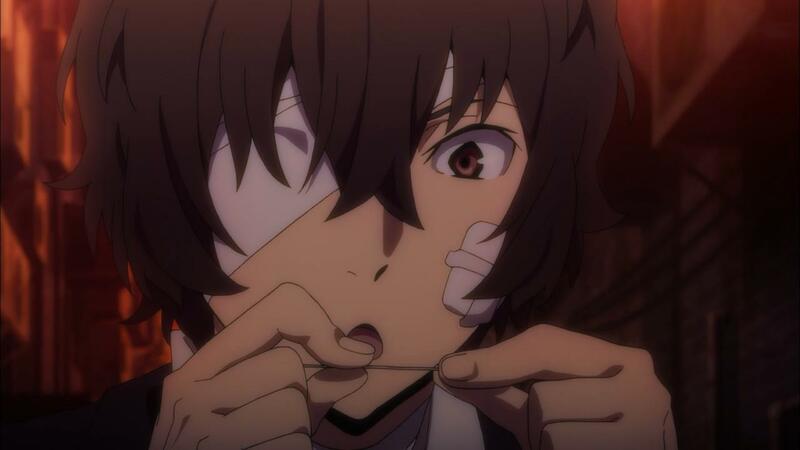 Hey um staff: thanks for telling me beforehand that we start with Dazai’s backstory without any opening, ending sequence, narration, or exposition whatsoever. That TOTALLY didn’t make me confused until the last minutes. -_- I am being sarcastic, if you couldn’t tell. Up to Snuff 2/25/19 - Won't Someone Please Think of the Children? Up to Snuff 1/28/19 - McDonald's! McDonald's! McDonald's! Random Curiosity is an Anime Blog. All images are copyright to their respective owners.